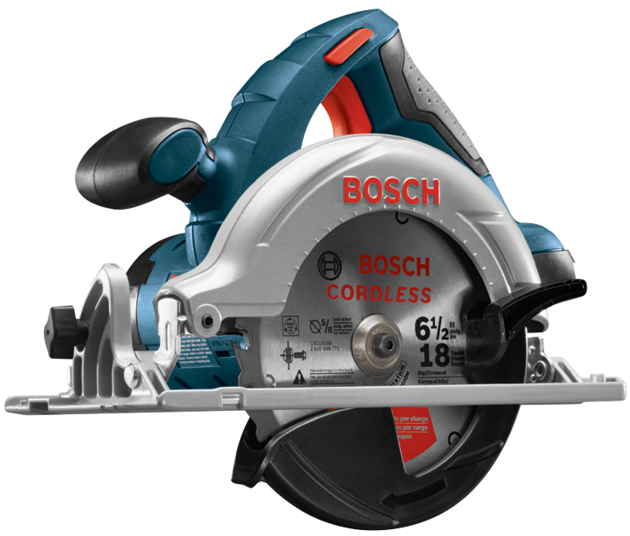 The Bosch CCS180B 18 V 6-1/2 In. 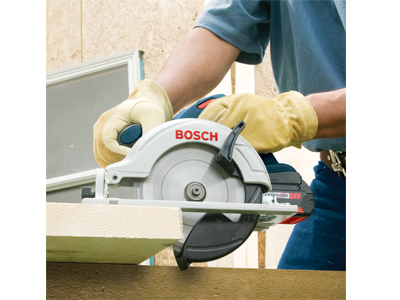 Circular Saw Bare Tool can easily cut through 2x (“two by”) material across entire bevel range. 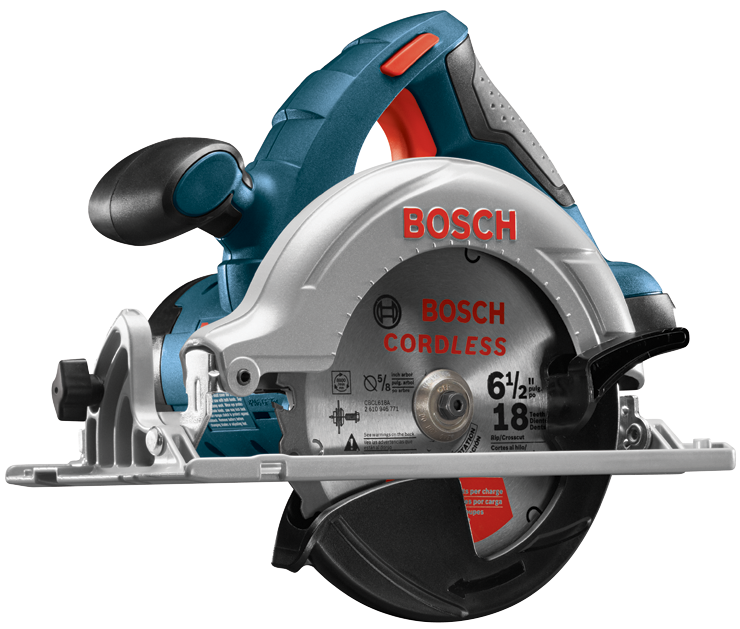 This cordless saw provides a convenient 50° bevel range, which is handy for times when quick bevel cuts are called for in a difficult situations. 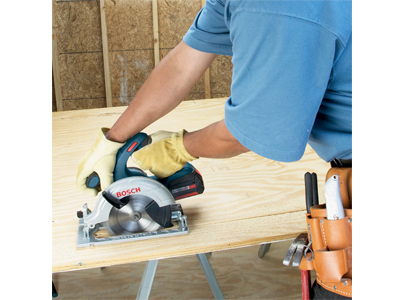 The easy-to-read depth-of-cut gauge and bevel scale help make accurate cuts simple. 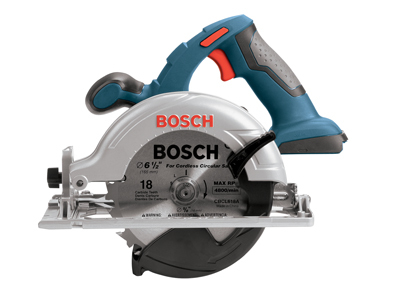 Its ergonomic main handle that is angled for ease in pushing the saw forward. The saw includes a simple depth gauge and bevel scale, a dust blower to help keep the cut line visible, and an anti-snag lower guard to ease into the cut. This balanced saw weighs only 6.6 Lbs. (tool only, not including battery). This is a bare tool kit; the battery and charger are sold separately. Max. Depth of Cut at 50 Deg. 1-1/2"